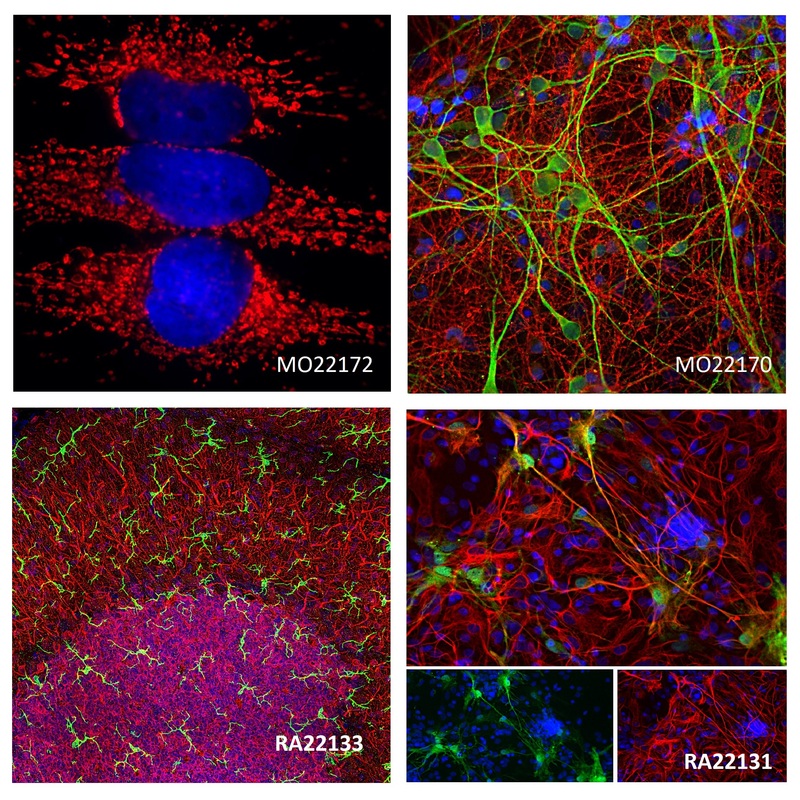 Neuromics is excited to tell you about new antibodies to our catalog. 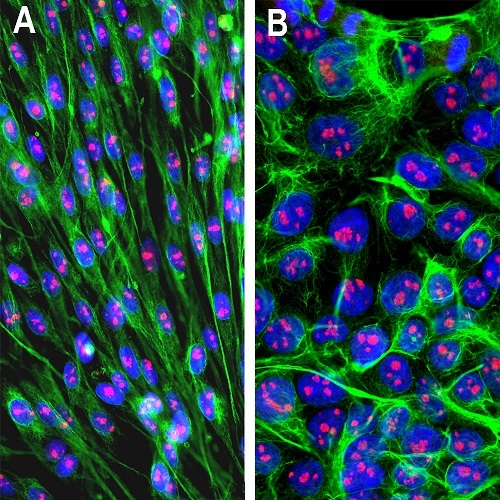 Image: Immunofluorescent analysis of (A) C6 rat glioma cells and (B) Human embryonic kidney cells stained with mouse mAb to fibrillarin, MO22169, dilution 1:1,000 in red, in both cases costained with chicken pAb to vimentin, CH22108, dilution 1:10,000 in green. The blue is DAPI staining of nuclear DNA.